Dragonfly Tea - Green Tea. • The reason that most people believe green tea is bitter is because more often than not the leaves are poor quality (true of much green tea available here in the UK). The bitterness is then masked by adding overpowering flavours to make it more palatable. • Even the greatest green tea may taste bitter if brewed for too long or with water that is too hot. Boiling water can scald the delicate green leaves making the tea taste bitter, so try letting the kettle cool for a couple of minutes before pouring. • Truly quality green teas correctly brewed are remarkable; fresh, smooth and delicately complex with a full aroma and naturally fragrant sweetness. • In true Dragonfly Tea spirit, instead of disguising a poor quality green tea with overpowering flavours, they decided to use the very highest quality, premium green teas and subtly infuse and enhance them with delicious complimentary notes. Dragonfly Tea spent over a year developing their new green teas and they have tasted dozens of different versions along the way. Bioactive compounds in tea leaves have a large amount of nutrients but a lot of these do not make it into the final drink. Flavonoids and catechins are powerful antioxidants, just like in our skincare it can help reduce free radicals from forming in the body, protecting cells and molecules from any damage...which means slowing down aging and diseases. EGCG (Epigallocatechin Gallate) is a powerful antioxidant it's been used to treat various diseases & possibly the reason as to why is has such amazing medicinal properties. 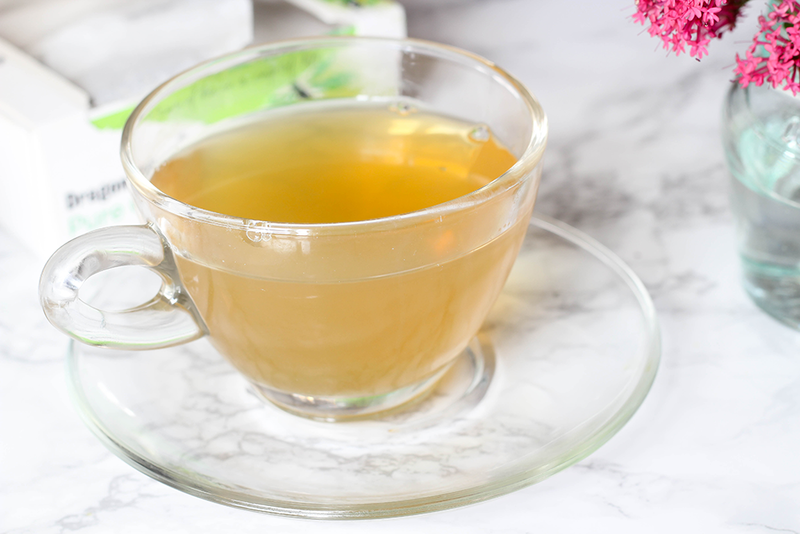 Green tea has been touted as an aide for weight loss, which was one reason I wanted to get into regular green tea drinking as it helps you to lose body fat. Lowers the chances of strokes, heart disease, type 2 diabetes. It kills bacteria meaning that your dental health will improve and lower risk of infections. In the long term it can help protect the brain, lowering risk of alzheimer's & parkinson's. In the short term it keeps you more awake & smarter thanks to the caffeine that it contains (not as much as coffee) because it's a stimulant. ...I was sent 3 boxes, different flavours Pure Green, Citrus Green and Berry Green. Pleasantly surprised to see the Citrus Green it was the first I tried and I liked that you got that hint of lemon through and the few ingredients of 'green tea, natural lemon flavour and other natural flavours, natural oil of bergamot' blended well together that it didn't take me long to finish a cup. So I decided to true the Pure Green & you can guess the ingredients are just that 'Pure green tea', the taste was smooth, certainly no bitterness which was a relief, not as refreshing as the citrus as that had more flavour but this has converted me to this brand's green tea. Berry Green has a blend of 'Green tea, rooibos green tea, natural flavour, natural vanilla extract', I'd say this really carries a berry smell & a fruity taste. I was pleasantly surprised, it can take a brand to just change my mind and help me to like something and thankfully Dragonfly Tea has done that, so I'm grateful to them for that & I hope with the addition of green tea alongside my water addiction I'm going to see long term benefits. Thank you! I hope they find it useful. 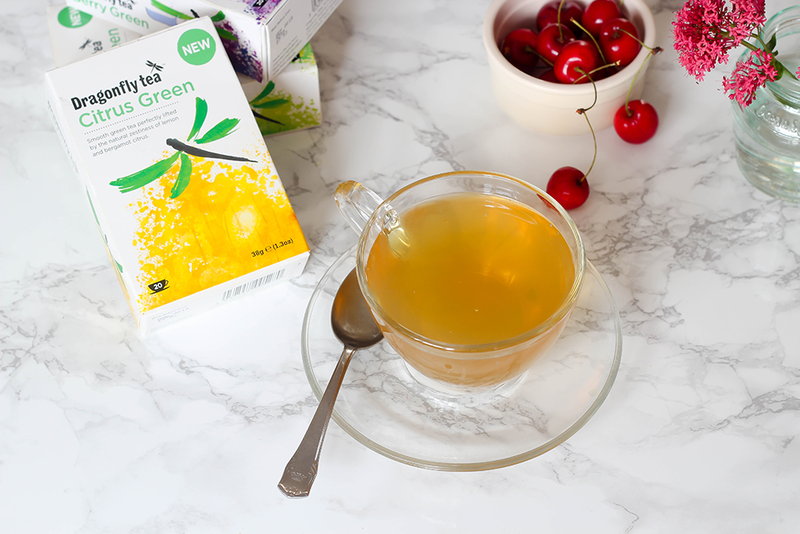 I'm not a big tea drinker usually, but do like Green Tea - this sounds great! I rarely drink 'normal' tea & haven't for years but green tea has some amazing benefits! Sounds lovely! I do drink green tea occasionally but you're right, it can sometimes be so bitter. It can, that's what put me off but I can definitely say I've been converted now. Oh cool, I haven't tried this. I do like green tea but I've only tried some of the standard, boring brands. I tried them before and didn't like them so it's nice to now know more about green tea and to avoid the bitterness. I love green tea! I have mine with some lemon and ginger in the morning. Oh that sounds lovely Dannii! I hate tea but I really like herbal teas like green and camomile! Yes, I'm the same herbal teas FTW! Me too, think there's a lot of health benefits with herbs etc. Me too, I'm glad I've found a brand I can F' with. Oh lovely. Yes I'm enjoying green tea a lot now. I find green tea hard to stomach (ironically!) but if it's flavoured, like peppermint tea, I adore it! I have never tried Green Tea, but may give it a go after reading this, I also didn't know about not having the water too hot, but it makes sense. I love Dragonfly Tea, they have the best teas ever and this green tea was one of my favourite.